If you are a PHP Developer, then you need to pay close attention to this article as I have done some research on the average salary of PHP developer and show you some ways to improve your salary. First of all, let us look at the average PHP salary and how this compares to related roles. As you can see from the table above, there are several related roles and quite a range of salary too. These roles are more advanced and normally have more responsibility than a PHP Developer as they include design of the software as well as some structure components. Python is quite popular at the moment and has more salary than PHP Developer. There are perhaps other factors that cause this. This role is similar to Python Developer and has a salary much higher than a PHP Developer. This roles covers .NET development and the advancement that comes with experience. The junior level is equal to PHP Developer salary but scales up from there. 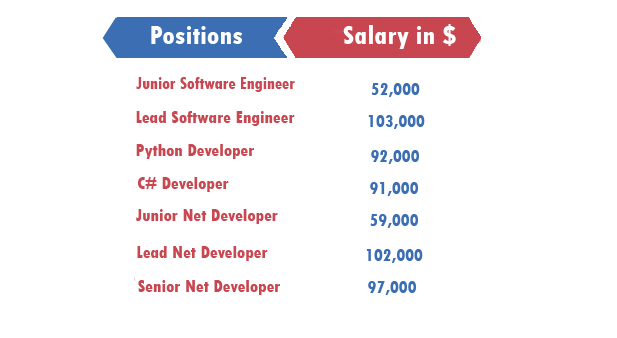 Now we have seen some related roles and how they compare salary wise to PHP Developers butss it is clear that when compared to other developers, PHP developers are paid less. So, without further delay here are some ways to improve your salary. Since this language is easy to learn when compared to other Languages like Java there are always more PHP developers who are either self taught or learnt through some short term causes. And majority of these developers don’t have any professional experience. So if you happen to be a person who has company experience then highlight that thing in your resume or mention that experience to your HR while asking for a raise. If you are a freelancer who works from your home then you can earn a high salary by opting for a full time position. Due to the popularity of this language there are always openings for this position. Its a great post having actual depth. Usually it takes about 5 years of development to become a good specialist and therefore to improve PHP developer salary.